Hina Altaf has always been acclaimed for her impeccable sense of style that has made her a fashion icon. Her cosmopolitan looks and her ability to experiment have earned her the attention of all fashion critics. 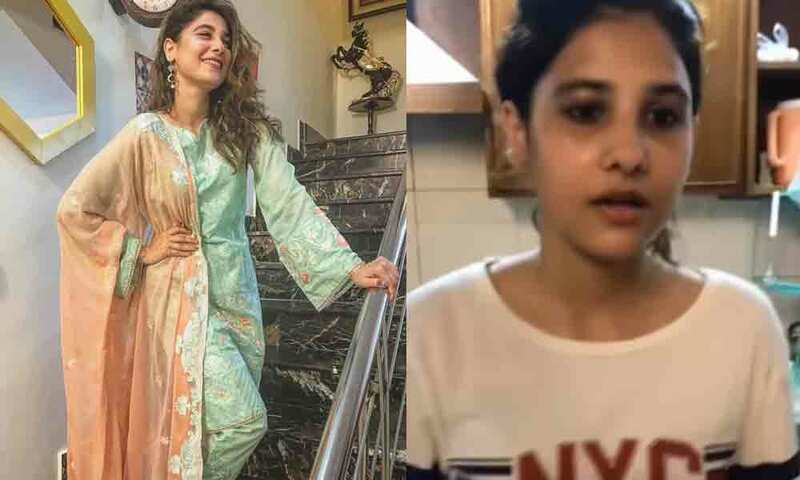 However recently, the actress posted a video on her social media account in which she can be seen taking off all her makeup and showing her bare face to her fans and followers. The actress revealed the reason behind posting the video that she gets so many comments criticizing her for wearing too much make-up. So she decided to remove the makeup on video. We must say, the actress looked absolutely flawless even without makeup. However, the moment she posted the video, people started pouring negative comments on it. And some of them criticized the actress for washing her face on a kitchen sink! Well, we believe that with or without makeup, every woman is beautiful in her own way and we are nobody to judge anyone. We hope that people on the internet would have something good to say in future and support our celebrities. Let us know in the comment below what do you think about it. For more details and pictures, stay tuned to Very Filmi.